When watching the Amazon documentary on Manchester City a few things quickly become clear about Pep Guardiola. Firstly, he is no stranger to an ‘f’ bomb (or seven). Secondly, he uses the word ‘guys’ a lot. But for me, his maniacal attention to the minutiae of tactics is what comes through the most. As he flashed blue and red magnets across a whiteboard, I wondered how on earth his players got their heads around the wizardry he was trying to bestow upon them. If you think his football is complicated, you should try his food. On Thursday night I headed to King Street, the former posh retail district in Manchester, which the internet has decimated. Amid the wreckage of empty shopfronts are a number of new restaurants aiming to fill the void. 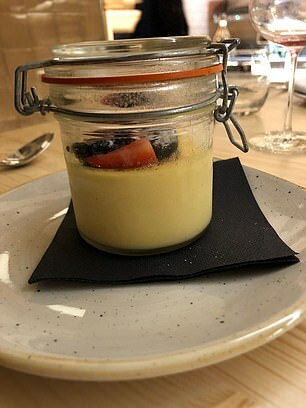 One of these, Tast Cuina Catalana, is the baby of Guardiola along with City CEO, Ferran Soriano, and director of football, Txiki Begiristain. Clichés out of the way first. There are no portraits of Curly Watts or Little and Large on the wall or pictures of Denis Law back heeling in the goal that didn’t relegate United. This is a sleek, modern, clean joint, full of white tables and black uniforms. My wife and I are seated on the casual ground floor (the other two floors are full until 9.30pm and I do not go to the gym often enough to eat at that time) and our waiter, a Blue, tells us that Pep has been coming here three times a week since its opening. I ask what he would recommend. Apparently he is a big fan of the wings. No surprises there, then. 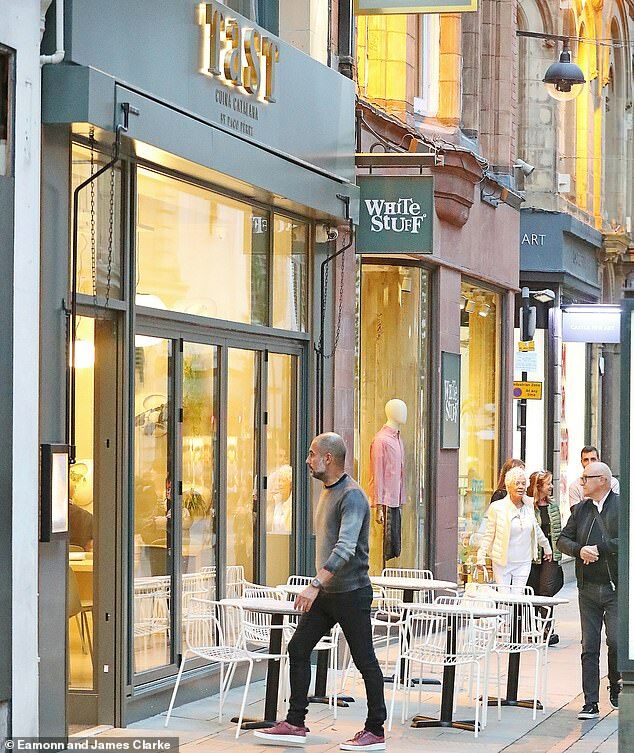 Tast is further evidence of Guardiola’s desire to invest in a city in which he already owns a flat. 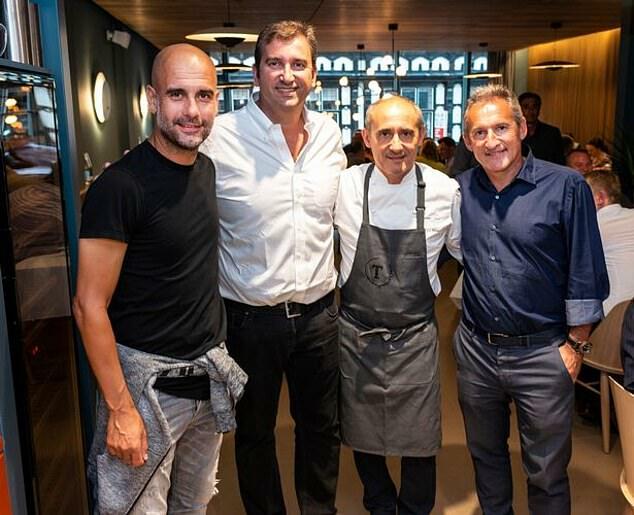 Tast is Pep Guardiola’s stunning new restaurant which specialises in Catalonian cuisine. It is led by one of Catalonia’s stand-out chefs, Paco Perez, who is a master and ambassador of Catalan gastronomy, with seven operating restaurants with five Michelin stars. 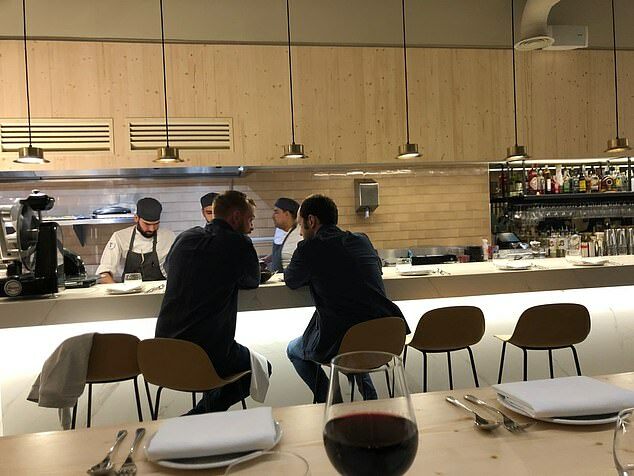 The restuarant offers guests to experience Tastets – a word of catalan origin meaning ‘a small taste of food’ – which is similar to tapas but is more of a complex dish. 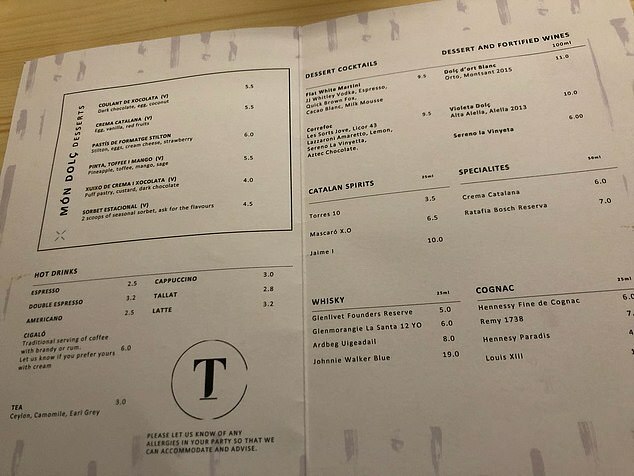 Tast, which opened its doors to customers on July 20, also has a vast wine selection for guests to choose from to enjoy with their meal. So, Whats on the menu? 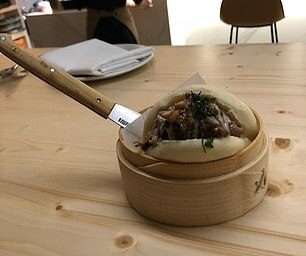 There is a small bites section which offers duck liver with chocolate and raspberry or Tou de til·ler cheese with truffle confit. A range of charcuterie and cheeses are also on offer which range from £14-22. 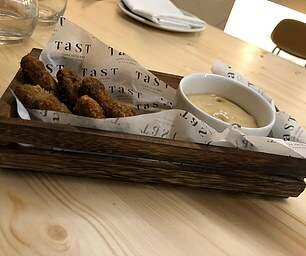 On the Tastets menu, customers can pick a number of small dishes to enjoy or share with each other. The menu is divided into four sections of food: Fried bites, From the garden, From the sea and From the mountain. Prices for these dishes ranges from £1.70-18. If you still want more, then there are also six traditional Catalonian desserts on offer. 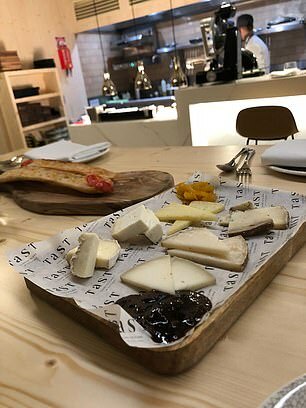 City insiders say that their man is very much a foodie and, along with his pals in high places, wanted to bring a taste of Catalonia to the unchartered territory of Manchester, which has waited longer for a Michelin Star than his employers did for a top flight title (40 years and counting). In a characteristically high-profile transfer move, the group brought in the acclaimed chef Paco Perez, who has not one, but five to his name to oversee the menu. It is some statement. We take the cheese board to start and the giant sourdough bread, infused with tomato and olive oil, which is drizzled at the table. It is supposed, in the Catalan style, to be eaten throughout the meal but it is so (so) good that it does not last until the donuts arrive. Donuts for starters sounds good to me. And they are. 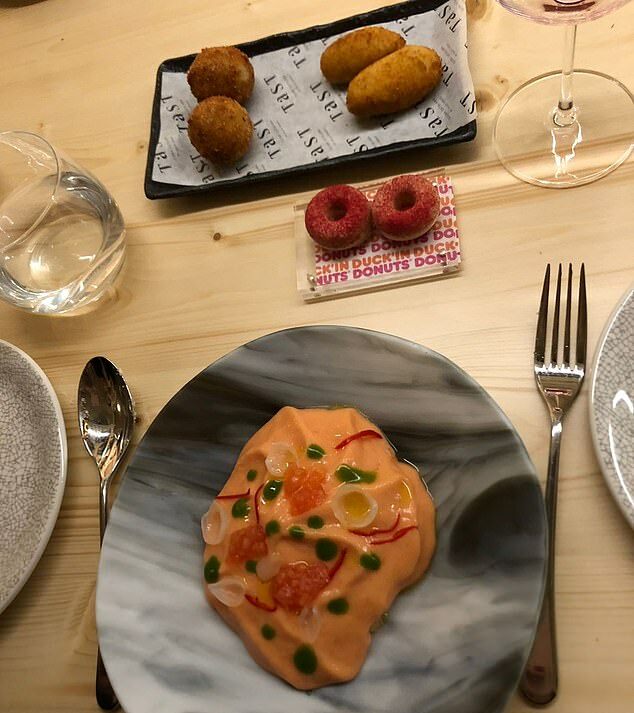 Two white chocolate circles encasing foie gras mousse with a raspberry sprinkling on what appears to be Dunkin Donuts-branded greaseproof paper. On closer inspection it says ‘Duck’in Donuts’. You would imagine such deft trickery gets the Guardiola approval. Now for the tastets (not tapas). Croquettes, ham, red pepper and chicken, arrive. A David Silva of a plate. Small, skilful – and not a chance anything will go to waste. Then, out of the corner of my eye, I spot what looks like a plate of strawberry Angel Delight heading in our direction. This, it turns out, is our king crab with tomato and basil. Not exactly, what we were expecting. The crab is covered in a wobbly, pink mousse which is slightly overpowering and looks a bit like Mr Blobby’s head. Apparently this is the one dish which splits opinion. No problem, the chicken wings, with picado foam, are smoky and gorgeous, while the Wagyu brisket in Bao bread is worth waiting for. For pudding, the crema catalana, basically a crème brulee, was top (top, top) as was the xuixo de crema I xocolata, basically a dark chocolate éclair with custard. The Catalan wine, a Cabernet Sauvignon, Merlot, Tempranillo, served as a fine companion. Like Pep’s Cityball, Tast is complex. There are a lot of flavours, a lot of flair and a lot of finesse. At £113 for two (including a discretionary 10% service charge) it is accurately priced. Above all else, it is different to what is currently on offer and provides inspiration on a dull, boring evening. It is also a short walk from the Lowry Hotel.